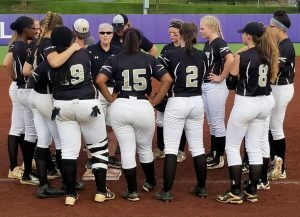 With 20 seasons and 239 wins as the only Head Softball Coach in the history of Monticello High School, Beth Humphrey has announced her retirement from coaching the Mustangs. 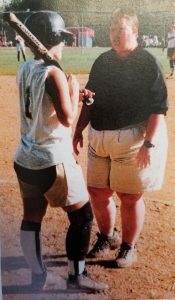 Affectionately known as ‘Coach Beth’, Humphrey ends her time at the helm of the Monticello Softball program with a number of accomplishments and memories. 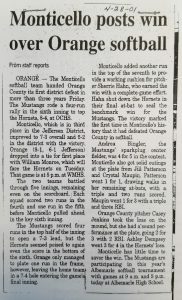 In 2001, just the third season for Monticello, the Mustangs scored four runs in the sixth inning to defeat Orange 8-4, the Hornets’ first Jefferson District loss in over three years. The Mustangs went on to win the district tournament title. 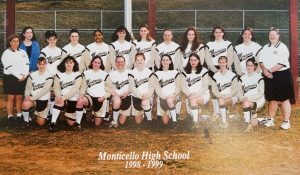 In 2005, Monticello clinched their first Jefferson District softball championship in a 2-0 win in 10 innings over William Monroe. 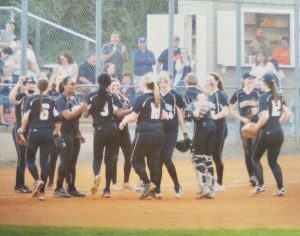 In 2010, the Mustangs won 23 games, the most in program history, advancing to the state tournament where a 2-1 loss in 13 innings to Poquoson denied Monticello a bid in the Group AA Final Four. 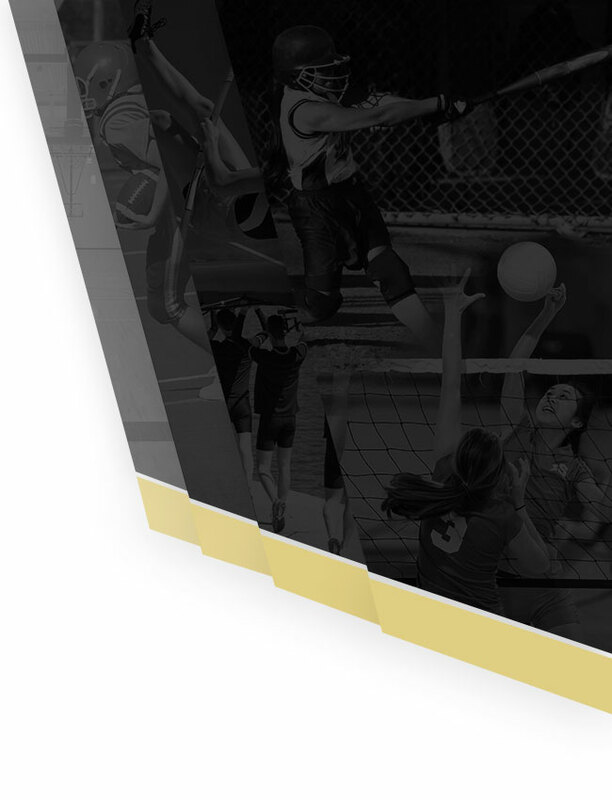 In 2018, Monticello won 13 games and was one win from playing in the Class 3 State Tournament, finishing the season 13-7 with six of the seven losses to teams that played in the state tournament. Three seniors off the 2018 team are continuing their softball career at the college level, the most in any one year in program history. Numerous improvements have been made to the softball facility under Humphrey’s direction. These include shortening the outfield fence from 300 to 220 feet, a new pressbox/concession building, a new bullpen pitching area, a covered batting cage area, a multiple-net hitting station, and a padded brick backstop. “Watching young girls turning into young ladies was very rewarding,” shared Coach Beth. 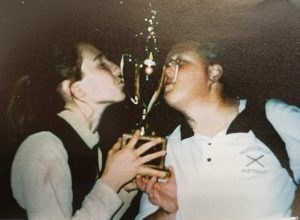 A few photos from throughout Coach Beth’s tenure are below. With fall practices starting next week, Mustangs Assistant Coach Keith Shifflett has accepted the role of Interim Coach and will lead fall off-season practices and conditioning while the application and interview process for the next Head Coach is completed. There will be a softball meeting on Thursday, August 30 at 4:15pm in the Forum at Monticello High School. This meeting is for all students interested in playing softball in Spring 2019. Fall practices will be on Tuesday/Wednesday/Thursday from 4:15-6:15pm during the month of September. 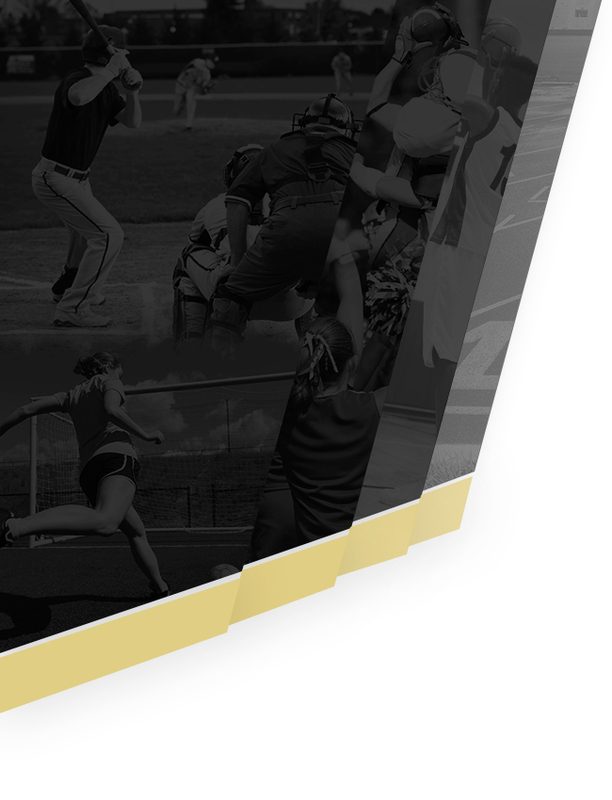 For more information on Monticello Softball, please contact the Monticello athletics office at 434-244-3130.